So here's my fabulous disclaimer: Back Door Catering provided me with a variety of food dishes to try in exchange for a blog post, but that in no way influenced my opinion. I tell it like it is, people! I am also happy to inform you that I ordered the food online and picked it up myself, so I know what I'm talkin' about. What is Back Door Catering? You may have heard of QCrew Catering. 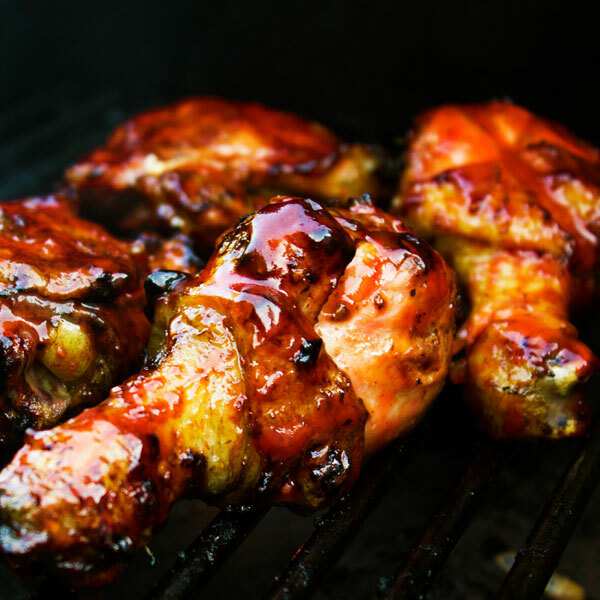 They've built quite a reputation in Hunterdon County and around the state for being one of the best off-premises BBQ catering services since 2009. They cook their BBQ live, on-site, for weddings, parties and other events. They've become so popular with their customers (who were asking for items they could pick up) that Back Door Catering was born! I had a chance to check out the kitchen and facilities at Back Door Catering with Bill Dixon. I was impressed by the size and cleanliness of the whole place, as well as the amazing smells in there. I also met Lauren Monge, the head chef, who works hard to bring you fabulous dishes for your events! 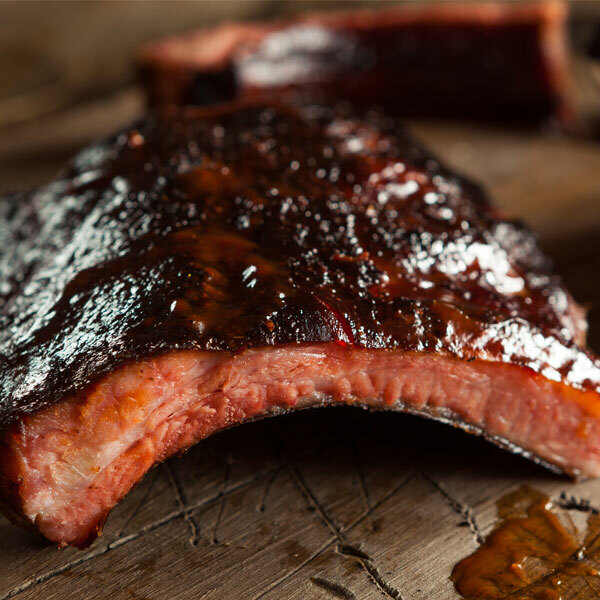 Back Door Catering is located in Ringoes, New Jersey, and offers customers a chance to order their BBQ catering online, and either pick-up or have items delivered to their event. Fabulous idea, right? Ask around for catering recommendations and 9 times out of 10, friends direct you to the local supermarket or big box stores. 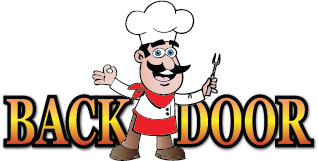 Back Door Catering gives you a chance to have affordable, freshly cooked food delivered or picked up with ease. They're located in Ringoes, New Jersey, but they deliver pretty much anywhere in the state (delivery fees apply, so just keep that in mind). Back Door Catering offers a variety of food choices, not just BBQ (although that is their specialty). They're GREAT for parties of 15 or more, small gatherings, large parties, you name it. Bill pretty much said no party was too big or too small, in a nutshell. These kinds of trays would be especially fun during the Summer months for outdoor gatherings, graduations, Father's Day...you name it! There's so much to try from the Back Door catering menu, but let me tell you a little bit about what I sampled. My hands down favorite was the QCrew CRUNCH Chicken Tenders. They were AMAZING. They came on a gorgeous platter with a yummy dipping sauce. Bill told me this was one of their most-requested dishes for weddings and finger foods for parties. Do I even need to say anything else about these? Just order them, you'll see for yourself. I also tried the baked beans, which were delicious. Instructions for reheating (since I ordered my items cold) were right on the package. I also had the pulled pork, which was so tasty. It was fabulous on a bun for a pulled pork sandwich, too. I also tried the OMG Mac and Cheese, which went great with the BBQ dishes and was easy to reheat and serve. The Back Door BBQ Catering site is very user-friendly. The site is easy to navigate, with clear photos and descriptions of menu items. Once you place your order, you'll receive an email confirmation and someone from the business will get back to you right away with an estimate and info for deposit. I can honestly tell you that the online part of it was so easy. I am always on the computer and I do much of my business with colleagues online. It was super simple and fast to place my order and confirm it via email. Lucky me, I happened to be picking up my food on a day when it was pouring rain. And I mean, pouring. No worries, it was still really easy to get my order and I was in and out fairly quickly. Their location is right off of Rt 202 North in Ringoes, behind Retro Fitness. Bill met me at the door and showed me around their kitchen, but normally, he said someone would come out to your car and help you load it up (he did that for me, too, but my point is that you wouldn't have to get out and walk around the kitchen like I did). Everything I picked up was well packaged and reheating directions were included, since I ordered my food cold. It was all super easy and I felt like I had a home-cooked meal for my family and friends. There were also enough leftovers for days! I hope you'll try them out for your next event. I wouldn't steer you wrong on this one! Happy eating!